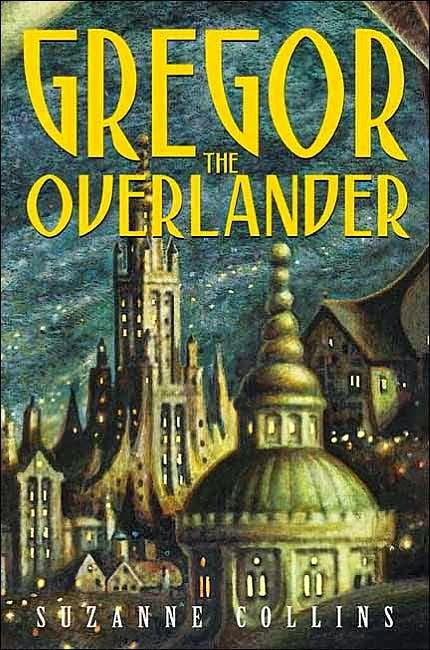 Last night, when I announced at the dinner table that it was my turn to write a book review, my wife Sharon said something like OH OH OH YOU SHOULD REVIEW GREGOR THE OVERLANDERRRRRR! and when I said I was thinking about something more current, she said, again I'm paraphrasing, SHUT UP I'LL WRITE IT FOR YOU. So she did. Below is Sharon's review of Gregor the Overlander. Or Overlanderrrrrrr. Whichever. Enjoy! Unless you are dead or living as a hermit in the tundra, you've heard of The Hunger Games by Suzanne Collins. But, have you heard her other (far superior?) middle-grade series, Gregor the Overlander? Don't get me wrong, Gregor lives through just as much death, dismay, and grit as Katniss but the Underland Chronicles are even more fantastic and just as epic. With the recent release of Part 1 of The Mockingjay, I'm going to frame this review with five reasons why Gregor the Overlander is more enjoyable than The Hunger Games. In case you care, I'm Team Peeta but when there's a war going on, who would really have time to care? Sure, there's a bit of romance with the final books, but it doesn't get in the way of the story line. Gregor's meets his best friend in the Underland. Together they take names and kick rats. Part sensei with equal parts grouch and killing machine, Ripred is the king of the witty repartee. His relationship with Gregor is nuanced and, like Haymitch in the Hunger Games, this character makes the story. 5. Everybody knows about the Hunger Games, but with knowledge of Gregor the Overlander, you join an elite group way above the 'hungering' masses. I'm always recommending this at the library. Somehow it flies under the radar. Thanks for the shout-out!